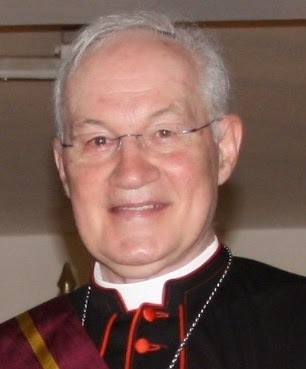 Cardinal Ouellet recently gave an interview to the French Christian publication La Vie. It posted the most salient part on their website. Is the analogy between the Second Vatican Council and the Synod accurate? It is true that there are some points in common, but on a different scale. The Council lasted 4 years: It was a Pentecost, a time for updating and of major ecclesiological developments, but also of debates and tension. At that time, there really was a need for openness to ecumenism and to the cultural transformations. Today, the reflection is about a very specific subject: that of the family and the tension that deals with the heritage of St. John Paul II. Between the doctrine of the family that he developed in complementarity to the Council, and the experience of a good number of people, there is a gap in today’s society. Therefore, the Church feels the need to take the pulse of families at the base and to deal with contemporary problems, which are the explosion of the number of divorces, and the number of couples who prefer not to marry. The issue of the divorced-remarried takes up a certain space but the problem is more profound and we are looking at the roots: the crisis of commitment in life-long love. Thinking of the synod as a moment the goal of which is to liberalize doctrine seems to me to be an error. On the other hand, there is a greater sensibility to the people's suffering, and to the difficulties that many families encounter. The pastoral charisma of Pope Francis is very positive for the Church. In the end, what he wants to communicate to pastors above all is to accompany people there where they are, to walk with them, and not necessarily assault them with a series of truths, but to go bit by bit so that they find solutions to their situation; that they travel in the light of the Gospel, being conscious that the Mercy of God accompanies them, helps them, picks them up; that they remain in hope. The goal is to better discern how to accompany and help people to live out their Christian life in marriage and family. There, we have to develop our creativity. And what solutions for the divorced-remarried? Concerning the divorced-remarried, there will certainly be formulas to facilitate the nullity procedures. That’s practically a given because we realize that many marriages were contracted without faith, without genuine commitment and sometimes in complex circumstances. Today, for instance, we are better equipped to measure the validity of their marriage. On that point, there are paths which will become more precise at the next synod. But nobody has let it be understood that all of a sudden the divorced-remarried, in a general manner, could take communion: we spoke of exceptional situations that we must examine more closely, perhaps with a more flexible mentality. You work side by side with the Pope. What do you make of him? Being close to the Holy Father, I see his spirit: he is not a man who has as a goal to liberalize the Church. As if the Church needed to be liberalized! What interests him is to announce the Gospel, because it is the Gospel that liberates, encountering Jesus that liberates, not ideologies. He wants to give to men to feel and see that God is merciful even if we are morally wrong, and that God’s mercy touches us and reaches us in all situations. His insistence on that point does a lot of good. Some panic, worry, wonder where the Church is going. I think that doctrine will not change, but it will be better applied and thus it will really help people grow. I'm very happy that the Cardinal reiterated that the synod will not liberalize Church doctrine, nor is it the Pope's goal to liberalize Church doctrine. I'm happy they're trying to learn how to apply Church doctrine. But there is always a danger that liberals will exploit these perceived shifts in doctrinal wind and make it seem like the Church is giving their seal of approval to sinful behaviour. It would help if the Pope were a little more clear on this point.